Sandia Mountain BearWatch is now 16 years old with approximately 600 members, most of whom live in the Sandia and Manzano Mountains near Albuquerque. S. M. Bearwatch’s mission has been to help ensure a stable bear population in New Mexico through statewide education for mountain residents, informing them how to co-exist with bears. We continue to advocate for better management for our state’s mammal, the black bear. Our wildlife conservation organization has never taken an anti hunting stance, but we continue to take a strong stand against poor bear management and unethical hunting practices. Unfortunately, between fickle Mother Nature and the New Mexico Game and Fish Department, New Mexico’s bears are in for a very dire year ahead. After one of the coldest winters on record, in early May, there was a statewide hard freeze that killed most if not all of the oak blossoms that produce the acorns that bears depend on to survive their winter hibernation. Fruit trees were also ravaged. Our winter snows were below normal and the high springtime winds along with no spring rains is a harbinger of things to come for this species. In its inception, BearWatch established a Wildlife Steward program. This program was instituted to educate Wildlife Stewards in all mountain regions on how to help inform their neighbors how to live with bears. These Wildlife Stewards not only help inform their neighbors on all the ‘Tips’ for living in bear country, they also report bears in the area and keep us up on what is happening ‘bear-wise’ in their part of the state. Recently, our Wildlife Steward in Cloudcroft, in the southern part of the state, reported that they had the same hard freeze along with little winter moisture. Several of their young bears have been trapped for the first time ever in Roswell near the Texas border traveling down from the Sacramento Mountains. Her neighbor recently saw a bear eating bugs off of his car grill. And on top of this upcoming natural disaster, our bears face one of the largest bear hunts in New Mexico’s history. The NMG&F has increased the bear hunt 104% over the past five-year bear hunts of 2004-2008 to harvest a total of 686 bears including 302 females per year for four years 2011-2014. The Game and Fish Department has estimated that there are 5,327 to 6,511 bears in New Mexico. That’s right, they have it down to the very last 11 bears, when in truth, the NMG&F has no idea how many bears exist in New Mexico. They are basing their bear population guesstimate on their matrix, which is not a population count. It yields the same population estimate every year and is essentially a bear capacity estimate. NMG&F’s uncertain estimate of plus or minus 10% in the population is not realistic given the tremendous uncertainty in the method they’ve used. The NMG&F has doubled the bear hunt they consider to be ‘problem’ zones from 7% to 15%, which is basically the entire state. This will include 50% sows. This four-year 2011-2014 statewide hunt is proposing to kill 2,744 bears in total, including killing approximately 1,218 females…the future. If forest conditions are as bad as we fear, malnourished sows will not produce cubs to replace this draconian hunt, which means our statewide bear population will most likely take a massive plunge. The tragedy is that old, young and weak bears will die of starvation, predation and depredation early on with the stronger, producing bears surviving to be hunted and killed off by bear hunters in the fall. This Game Department’s message is trust us, we’re the experts here and we know what we’re doing. BearWatch’s experts, two well-known, seasoned bear biologists and a PhD. physicist believe this bear hunt is unsustainable. We believe that this ‘reduction’ hunt along with this looming natural disaster could permanently eliminate bears from some New Mexico mountain ranges. It’s happened in states like Arizona and Utah. 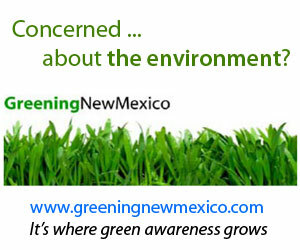 Unfortunately the NMDG&F resents spending the money and personnel to manage New Mexico’s bears. It is easier to just eliminate most of the bear population rather than educating, ticketing irresponsible residents who create human/bear problems and encouraging bear-country counties to create and enforce bear-proof garbage ordinances. It’s now up to all caring New Mexicans to do everything possible to protect our bears because no one else is going to do it for us. For more information, contact www.sandiamountainbearwatch.org. I’ve sent this to my blog/website/twitter followers. Hopefully New Mexicans will rally and save the bears from devastation.